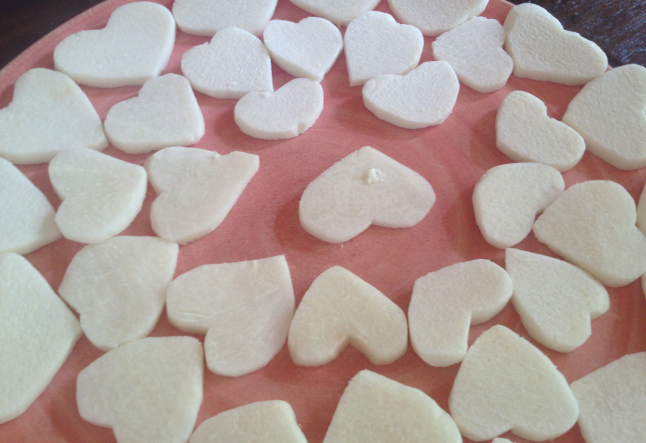 Cut a whole jicama into heart shapes (peel and clean first) and display on a serving plate. Soak nuts for at least 2 hours. Strain, place in Vitamix or high speed blender with a plunger. Blend all ingredients on maximum speed while using the plunger to help process the nuts. Blend till creamy smooth. Pour in a mixing bowl and set aside. 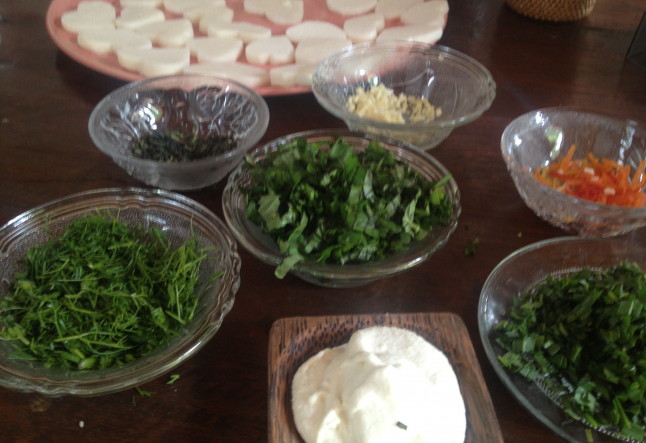 Spread a small amount onto each jicama heart. Top with sprinkled chives, or your favorite herbs. In a food processor, mince red bell pepper, 2 cloves garlic, and hot pepper (or finely chop by hand). In a medium size mixing bowl, add chopped mixture to the basic cheese and mix well. In a food processor, mince fresh basil, rosemary, thyme, oregano, and 1 clove garlic (or finely chop by hand). In a medium size mixing bowl, add chopped mixture to the basic cheese and mix well. In a food processor, mince fresh dill(or finely chop by hand). In a medium size mixing bowl, add chopped mixture to the basic cheese and mix well. Blend 2 fresh, very soft noni fruits in a blender, strain through a nut mylk bag, or tea strainer. In a medium size mixing bowl, add noni juice to 1 teaspoon of spirilina and the basic cheese, mix well.